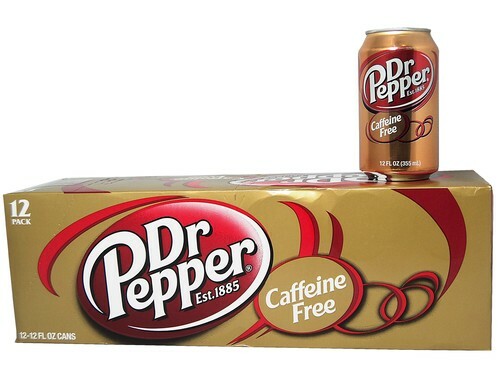 FRESH 12 Pack 12oz cans of Caffeine Free Dr Pepper!!! We also have these available in 2 liter bottles and Diet Caffeine Free Dr Pepper. Soda Emporium is YOUR source to buy Caffeine Free Dr Pepper online! on 5/10/2012 Awesomness in a can! I can honestly taste the difference in diet dr pepper and regular dr pepper, so Diet caffeine free dr pepper, in my eyes tastes horrible, however just caffeine free dr pepper tastes exactly the same!! I love it! !